Blog posted by: Martin Jordan, 14 August 2018 – Categories: Service design. Three years ago there were just a handful of service designers working in the UK government. Now, there are around 50 working across different departments. Service designer is now a recognised job title in government and organisations across the public sector realise the value that a user-centred approach to whole services can bring. At the Government Digital Service (GDS) we now have 12 service designers working in various areas, including GOV.UK, GOV.UK Verify, the GovTech Catalyst and Service Communities. We meet as a team for lunch every Wednesday to talk about our work, discuss ideas and spot opportunities for collaboration. To build on this, we’ve set up a community of service designers working across government. The aim is to further embed service design – and service designers – into everything government does. Here’s how we set up the community and what we’ve done so far. In June 2017, the heads of design and lead service designers from a number of departments and agencies – including myself – got together to talk about how service design worked in their organisations. We looked at challenges and successes and talked about the similarities and differences in our working practices and structures. A half-day workshop helped us understand how we can work better together and what service designers at GDS can do to help colleagues in departments. 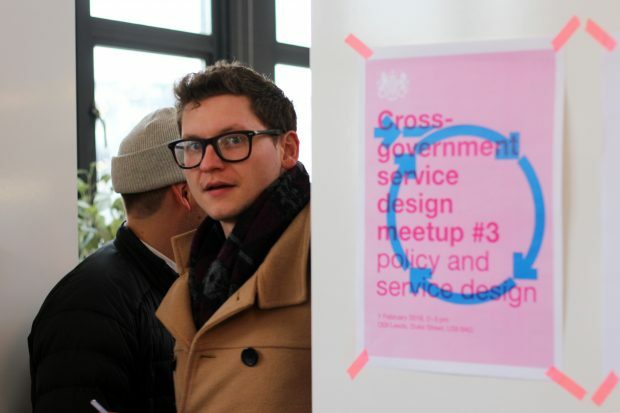 A few weeks after that we ran the first cross-government service design meetup at GDS. Twenty-five service designers from 8 departments came together to discuss their work with colleagues and explore what service design means across government. We found that lots of the attendees work independently of other service designers. Sometimes they are the only service designer in their entire location, or even department. Because of this, they were glad to see they’re part of a bigger change in how government operates and becomes more user-centric. The service design meetup is a smaller spin-off from the bigger design meetup, which runs every 6 weeks. With a narrower scope and fewer participants, it allows a more personal exchange. We ran our second meetup 3 months later. This time we had a specific theme about measuring good services and service design, and discussed things like how to evaluate service outcomes, not just design outputs. From the first 2 meetups we ran, we saw a real value in having a regular face-to-face exchange for service designers around government. So we decided to turn the meetups into a quarterly event. We held the first 2 meetups at the GDS offices, but after feedback it was being perceived as a GDS-run event only for service designers - which was not what we intended - we made some changes. We have run 2 more meetups since then. 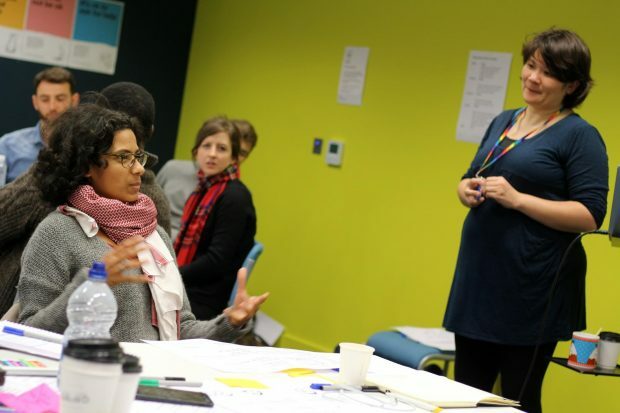 We partnered with the Department for Work and Pensions (DWP) on a meetup in Leeds, which looked at policy and service design and how these areas could work better together. And we partnered with the NHS to run a meetup looking at how service design and operations overlap. We also discussed the criteria for what good service design looks like – which you can contribute to using this open Google Doc. Something the meetups confirmed for us was that service design is not always a well-understood term and there was a lack of knowledge about what it really meant. While service design is covered briefly in the 3-day design training we run, we had never offered dedicated service design training before. So we decided to set this up. 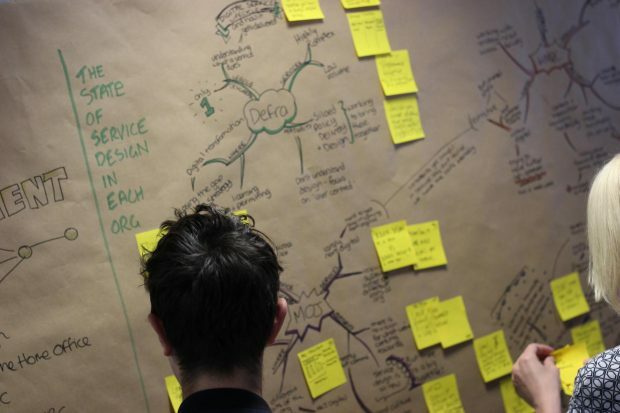 In January this year, we launched a one-day Introduction to Service Design training course. This is aimed at people who work in or with services teams and are interested in service design. We took an active learning approach to develop and run the training, and participants are introduced to a range of topics, concepts and skills. We discuss what a service is, what service design in government entails, how service designers work with other disciplines and what they do. We run the training in London every other month and, thanks to colleagues in DWP and the NHS, it’s also available in Leeds, Manchester and Newcastle. You can sign up to our next courses in Blackpool on 23 August or in London on 6 September. In addition, we are currently trialling a shadowing programme for people interested in picking up more service design-related skills. 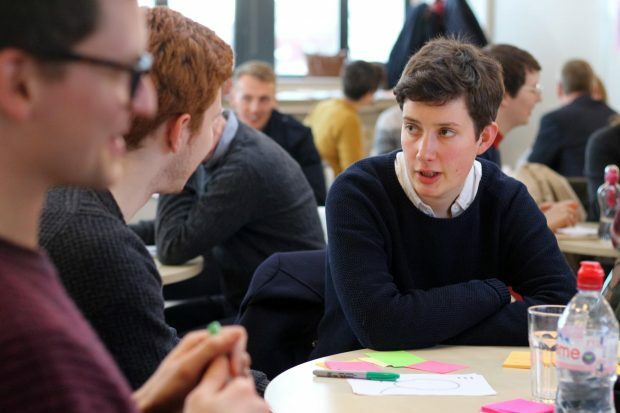 We’re also working on a mentoring scheme for people who’ve taken the training and want to either become service designers or apply service design-related techniques in their current role. We’ll be blogging about both these things soon. Martin Jordan is the Head of Service Design at GDS.